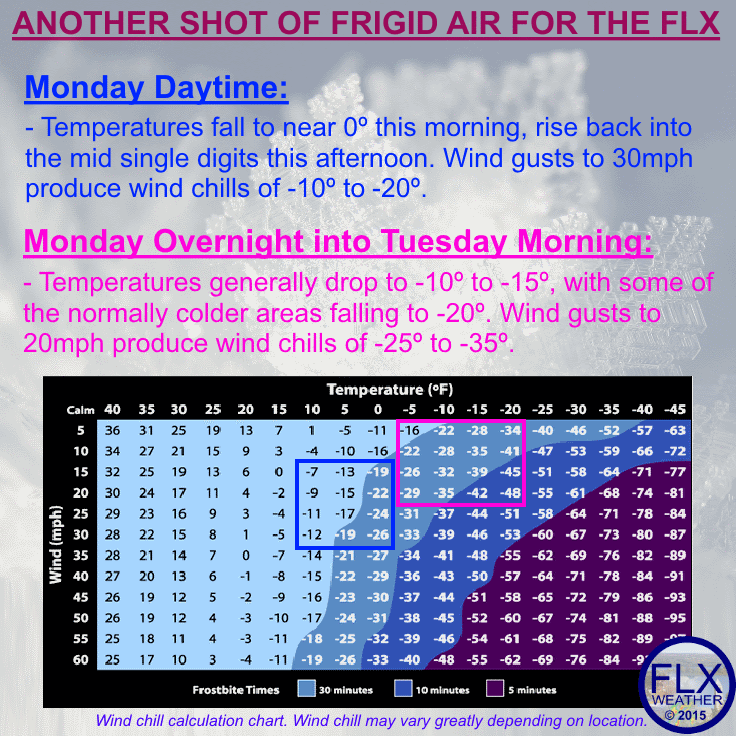 More arctic cold is moving into the Finger Lakes on Monday, February 23. Today’s post sure sounds like a broken record. Temperatures falling. Gusty winds. Dangerous wind chills. The new “normal” for the Finger Lakes lately. Tonight’s cold will probably challenge seasonal low temperatures in some spots, with widespread negative teens possible. And that is before the wind chill. This is most likely the most intense cold of the week, but sub-zero temperatures will remain possible most nights. The good news? Very little snow to worry about this week, with just some snow showers Tuesday night into Wednesday morning.